Aid Afghanistan for Education (AAE) has been working in the education sector for over two decades. AAE has been providing education to marginalized Afghan women and girls over the age of ten, who are denied access to the formal education system due to conflict age, marital status returnees without education documentation. AAE is guided by the indomitable spirit of Afghan women and children who, despite over 30 years of war and violence, are determined to build a bright and prosperous future for themselves and their families. In 1995, AAE started working at the Afghan refugee camps in Pakistan with an education program and provided school supplies. 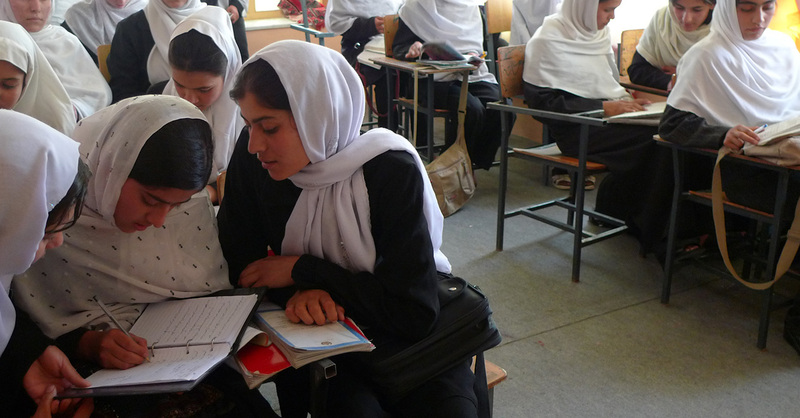 In 1999, AAE established five clandestine classrooms for 250 girls in Kabul during the Taliban regime, when girls were not allowed to be educated. In 2003, AAE was registered with Afghanistan Ministry of Economy as a non-profit organization that provides various educational platforms. AAE currently operates 9 schools in five provinces, where more than 3000 marginalized women and girls attend classes.